Miami Boat Lifts is a dealer for Tiki In A Box™. The unique design coupled with synthetic palm thatch withstands 150 mph winds. Available in 12′ diameter (Standard Tiki) and many Custom Tiki sizes. Custom designs are available for existing pilings or unique applications. 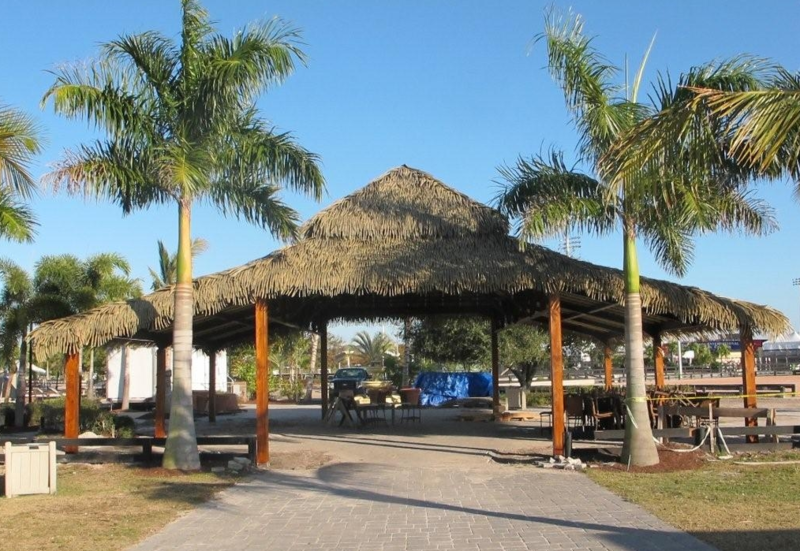 These versatile tiki hut kits can be used for projects as large as a tropical themed resort or as simple as a backyard tiki hut, cabana, tiki bar, poolside tiki hut, tiki barbeque area, tiki spa cover, or anyplace needing shade. © 2018 Miami Boat Lifts.com All Rights Reserved.